As I get ready to head out to DeKalb and Rochelle to run some errands, all I can think of is that something will happen while I am out. There will either be a cut, a trade, or a demotion…or all three. As I drive, my mind will be on the rosters for both the major league club and the minor league rosters. Sunday was just another day in a strange weekend when it came to rosters. The Cubs began the day by designating pitcher Brian Duensing for assignment while signing lefty Tim Collins and optioning Collins to AAA Iowa. Duensing’s DFA was not a surprise and yet it was. After Saturday’s cuts, the moves all but assured Mark Zagunis and Allen Webster spots on the roster. At the same time, it left a gaping hole in the bullpen for another lefty to go along with Mike Montgomery. That means that Randy Rosario and Kyle Ryan should be up for that last spot. Ryan had the much better spring. Collins originally began his career with the Royals and missed three years due to two TJSs. He completed his comeback last year with the Nationals. On Sunday, he got in a spring training game against the Padres. He had a 1-2-3 inning. However, Sunday’s moves looks like they could be the end of the transactions in the majors. Here is what Theo had to say about the possible end of the moves. The Cubs released nine players yesterday. Some were expected, some were not. Regardless, there will be more cuts coming as the Cub system currently has a glut of players. The Expected – About half of the 17 MiLB Free Agents the Cubs signed this winter will be cut, especially the pitchers. On Sunday, Mike Zagurski, Carlos Ramirez, Ryan Court, and Evan Marzilli were all released. In addition, the often injured reliever Jose Rosario was cut. Rosario flashed a bit as a pitcher in 2012-2014 before TJS and he has struggled to stay healthy since, especially since transitioning to a reliever. Also, Chesny Young, who hit well at every level but AAA, was let go. This would have been his third year at Iowa. 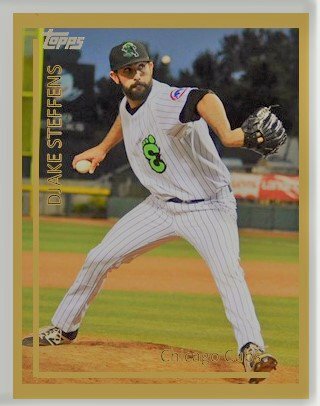 The Unexpected – I was quite surprised yesterday when the Cubs let go of Chris Singleton, Jake Steffens, and Austin Filiere. Chris Singleton had a rough spring. I thought he ended the season well at South Bend last year hitting over .300 in August. I thought that could possibly carry over to this spring. It did not. I really like Jake Steffens. He’s a very nice young man who works hard. He was outstanding in a relief role at Eugene with an ERA in the ones both in 2017 and 2018. When he was promoted to South Bend last July, he saw action in just 12 games with a 3.65 ERA in relief. He struck out 31 in 41 total innings last year while only walking 10. I thought he would at least be back at South Bend this year at worst, at best at Myrtle Beach. As for Mr. Filiere, the 2017 8th round pick out of MIT had an up and down first full year season as a pro at South Bend. He hit 8 home runs but had a swing change in June that took a whole month for him to adjust. I was looking forward to seeing if that adjustment paid off over the winter. The trend taking place in the system this spring is that the Cubs are taking more stock in 2018 draft picks. International picks are being given some time to grow. However, that patience does not look like it applies to late round picks from the past three drafts. There will be plenty more of cuts to come in the minors in the next week. Some could be tough, especially at the AA and AAA levels as the Cubs system gets ready to begin the season. Some familiar names who have been around awhile may be let go.